We have found a shoe that fits! 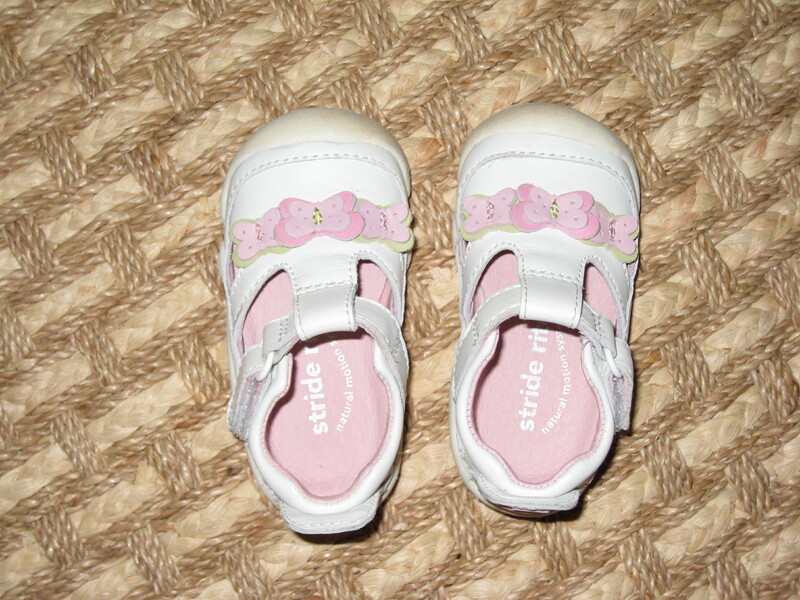 It’s actually considered a “prewalker” shoe according to the Stride Rite website, but personally, I would rather Zoe have this shoe anyway. As you can see the toes are reinforced — perfect for all the ups and downs and climbing that she’s doing, plus it will give her great traction when she is walking.